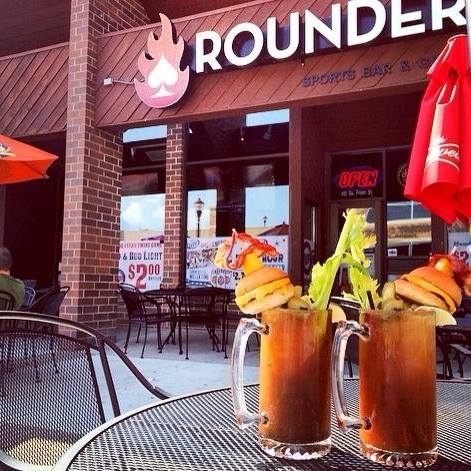 Rounders Sports Bar, located at 414 S. Front St. in downtown Mankato, opened its doors in 2009 as the premier sports bar for the sports fanatic. Whether you want to grab a drink on the patio or belly up to the bar, we have over 20 high definition 50" TVs with sports packages like NFL, MLB, NHL, NBA and UFC. Dine on our full menu of appetizers, burgers, wings and more. Rounders also has over 50 bottled beer choices and 12 tap beers. See you soon!